This is a review of Dherbs Brain Booster. The manufacturer claims that this natural herbal supplement designed to improve brain function, stamina, memory, concentration, focus, acuity and clarity. It is also said to energize and provide nutrition for the brain. If you want to learn about the ingredients, and whether we think it is the right product for you, then read on to find out more. The herbs in this product are designed to increase oxygenation and the flow of blood to the central nervous system. Antioxidants are also found in this supplement, which are meant to help fight the effects of free radicals. This product is vegetarian. It is recommended that adults take three (3) capsules daily, preferably in the morning, while children under 12 may take one (1) capsule daily. The dosage for adults is higher than similar products available but there is no way to check why this is the case as the manufacturer does not list the amount of each ingredient that is present in this product. This product costs $24.95 on the manufacturer’s website. While this seems to be an affordable product considering the price is for a supply of 100 capsules, some concerns may be raised about this low pricing. As it is more than half the price of some of its competitors, the quality of the product may be questionable. The manufacturer offers a complete refund but there are some conditions. The product must remain unopened and retain all original packaging and it must also be sent back within 15 days of receipt of purchase. If the product is damaged, defective or if an incorrect item is sent then it can be returned with free shipping to the manufacturer. If the product is returned for any other reason, the consumers are expected to pay for shipping themselves. There seem to be a number of reviews made concerning this product although the majority of them are inaccessible for some reason. The reviews are very positive although one is for a different product and the reviews on display range in age from a few months old to a few years old. Dherbs Brain Booster is a vegetarian product, which should satisfy many customers with dietary restrictions. The product is also affordable but may not be as high quality as other similar supplements on the market. The dosage is clearly outlined so that you cannot make the mistake of taking too much of the product although no possible side effects are listed. It does not have GMP certification and it may take many weeks before the Brain Booster begins to work. Finally, the money back guarantee is greatly limited by the conditions imposed and so it is unlikely that you will be able to avail of it, making it almost useless. There are a number of drawbacks to this supplement and so it may not be the one for you. 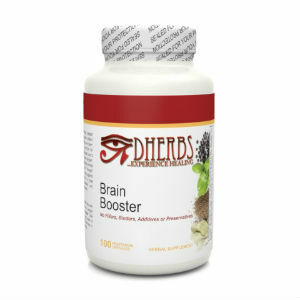 Henry Costa	reviewed Dherbs Brain Booster	on November 20th	 and gave it a rating of 3.